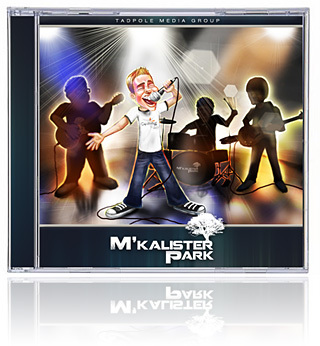 Available exclusively on iTunes and Amazon.com, M'Kalister Park features catchy songs, bonus tracks, and a special digital booklet. Preview songs and buy the album today! Listen to our M'Kalister Park: One Thousand Acres of Awesome audio promo. Watch the Communicate music video—one of many top tracks in the M'Kalister Park release. for Adventures in Odyssey fans. The popular Ceiling Fan Podcast team has joined forces to bring you their debut album—M'Kalister Park. Based on Season 3 of the ever-twisting story of Ethan Daniels, Phil Jinkus, and others, M'Kalister Park features upbeat tunes and catchy lyrics that no Adventures in Odyssey fan can pass up. 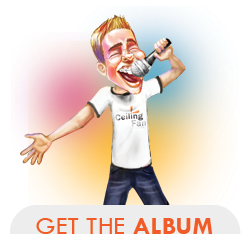 It's the first Adventures in Odyssey inspired fan-made album, containing live instruments and quirky lyrics. 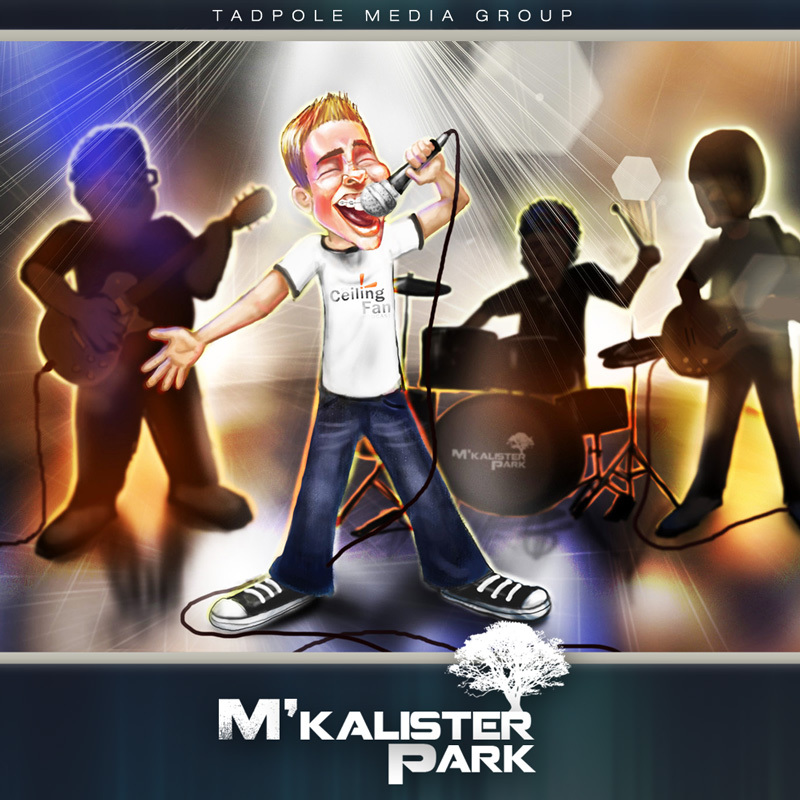 Perfect for any Adventures in Odyssey listener, the AIO tribute band M'Kalister Park is sure to have you tapping your toes and singing along with this exciting and unforgettable album. Complete with bonus tracks and an attractive digital booklet with lyrics and artwork. ©2011 Tadpole Media Group. Cover design and digital booklet by Jacob Isom, graphic designer. Adventures in Odyssey® is a registered trademark of Focus on the Family. All characters, locations, etc. are sole property of Focus on the Family. Communicate lyrics, AIO theme song, and audio clips used by permission of Focus on the Family.